On this cupcake I did not put any of the peanut butter cups. A cupcake cut in half. We were invited over to a friend's house for dinner. I asked if there was anything that I could bring and of course I was told dessert. :) I wanted to try a new recipe and this is the one that I selected. If you don't like chocolate or Peanut Butter Cups then this isn't for you. This recipe is from Bakerella's blog. She made it as a cake but I decided to make it as cupcakes. Line two muffin pans with cupcake liners. This will make 24 cupcakes. In a large bowl, beat the cake mix, the eggs, the buttermilk and the vegetable oil on low for 30 seconds. Then turn the speed to medium-high and beat for 2 minutes. Scrape down the sides after one minute. Next fold in the 2 cups of the chopped peanut butter cups. Pour the batter into the cupcake liners (I used a cookie scoop to make them even). Bake the cupcakes at 350 degrees for about 15 minutes or until toothpick inserted comes out clean. Place the chopped dark chocolate or chocolate chips in a medium bowl. Bring the cream just to a boil and then pour over the chocolate. Whisk until the chocolate melts. Add the peanut butter and whisk until smooth. Dip each cupcake into the frosting to coat the tops. Then place on a cooling rack. 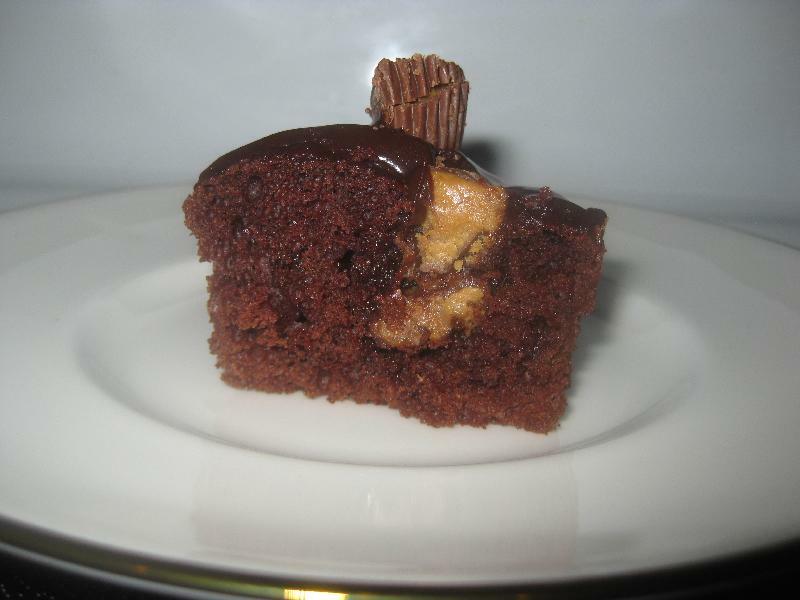 Allow the frosting to set for a minute and then gently press the remaining chopped peanut butter cup pieces all over tops of the cupcakes. Place in refrigerator for about an hour to set (I just kept them in a cupcake container). Remove and serve. 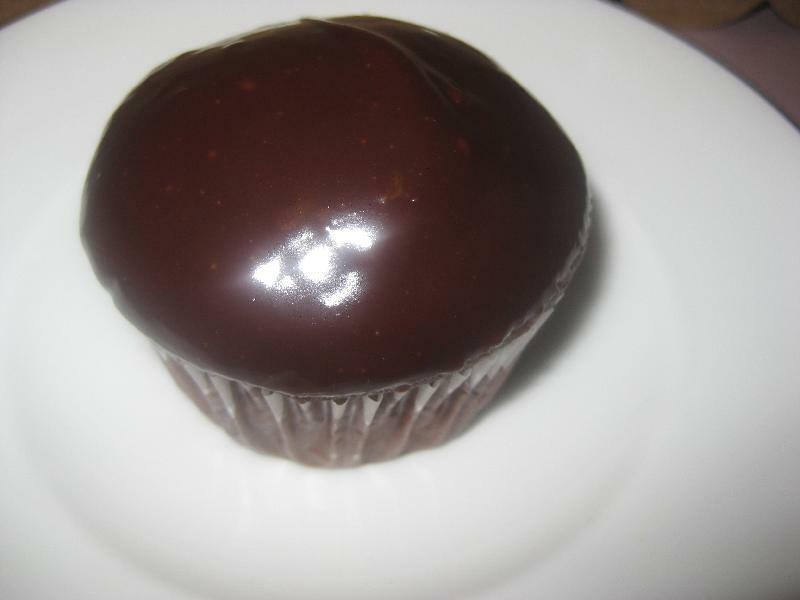 anonymous : A had a chance to try the cup cakes, and they were so delicious. My husband also loved them.